Dutch Dives In, written by Margaret “Peg” Finlay Averyt, tells the Pawley’s Island beach adventures of a little blonde girl, Dutch. Peg Finlay Averyt is an artist, gallery owner, little sister of former Columbia mayor Kirkman Finlay Jr., and now achildren’s book author. She combines her knowledge of art as Finleaf Gallery owner, her skills as an artist, and her creative writing talents in her books: Willowbel’s Wagon and Dutch Dives In. Both stories pull from powerful memories of growing up in South Carolina. Willowbel’s Wagon, published in 2013, is a fanciful tale about a family of brown rabbits who inhabited woods in the Heathwood Circle neighborhood. Published this year is Dutch Dives In, which revisits time Peg spent on Pawley’s Island with her favorite doll, Mary California, and her family. She conveys at the end of the book how her father, Kirkman Finlay Sr., gave her the nickname Dutch because of her white blond hair, blue eyes, and fair skin. Peg’s treasured memories include her grandmother making clothes for Mary California, packing the doll’s clothes for the beach vacations, and generally treating the doll as a person. “Mary California and I would swim and swim and then we just played out on the beach,” she says. 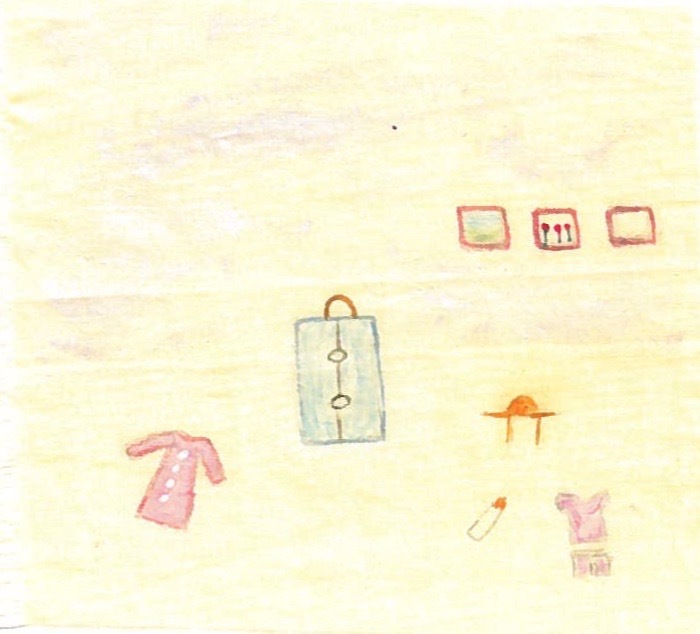 In a small cardboard suitcase, Dutch packed play clothes and a pink night gown for her doll, Mary California. In the book, Dutch Dives In, the memory of the doll being sung the song “Carolina Moon” is shared, complete with a verse from the song, which was a hit in the 1950s. Each book features watercolor illustrations by Peg. 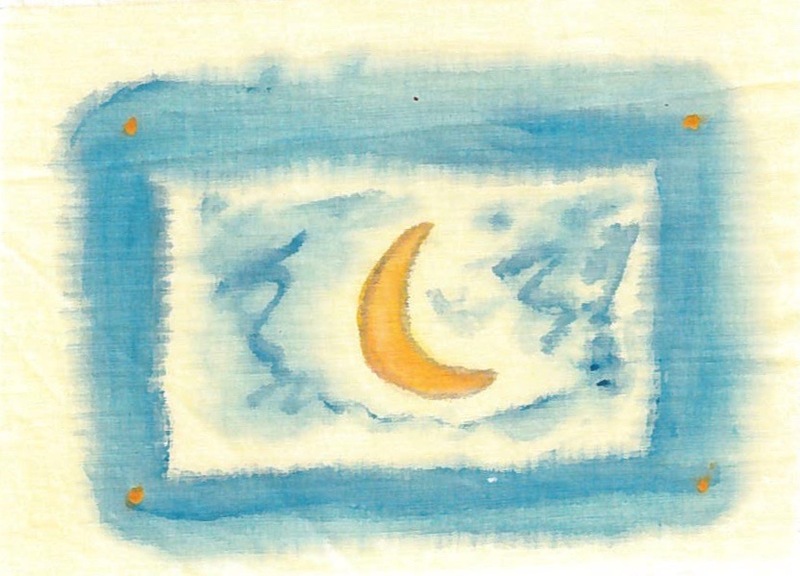 In Dutch Dives In, the artistic process is explained: “… hand-painted watercolors on squares of cotton batiste found in a mill in Union, S.C.” Edges of the batiste are fringed. 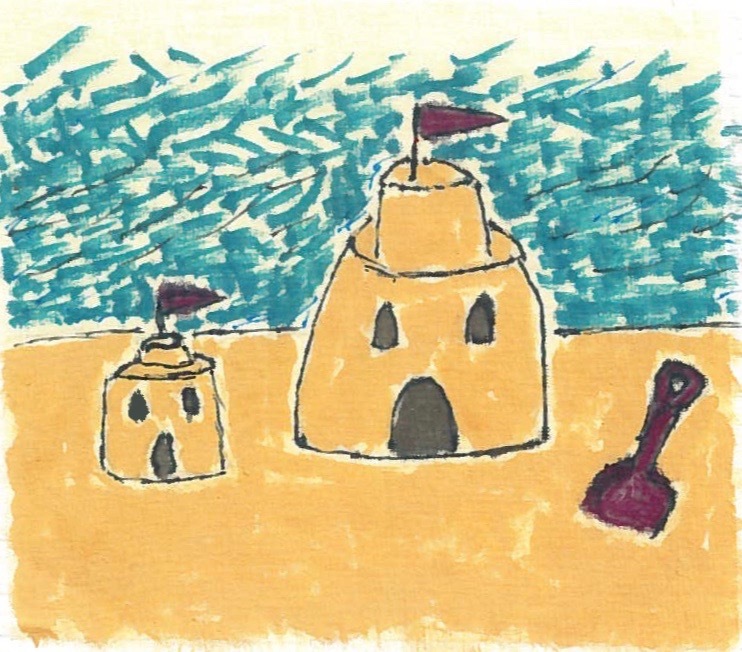 Dutch swam in the ocean, built sand castles, and collected sea shells. Both books are available at the Finleaf Gallery on Devine Street, along with works by other local authors and artists, plus handmade gifts, bridal registries, a ladies boutique, and teas.